I feel extremely torn about this book. I love its fantastical elements; I love the complex female characters; I love that a strong female friendship is a big part of it; I love that the protagonist is a girl of color; I love that storytelling and folklore plays a major part in the story. 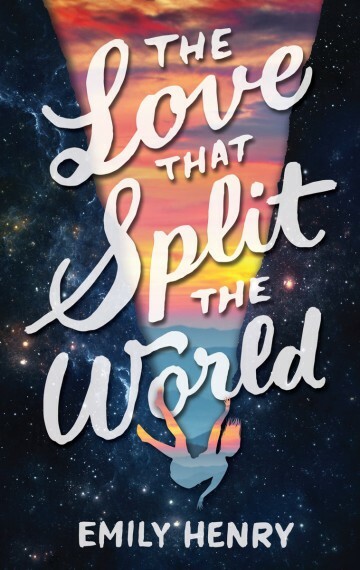 I do NOT love that the premise of the book hinges on a love story. Love stories in general are hard for me to find a way into, unless they are very developed and complicated, and unless there is a lot of other stuff going on. 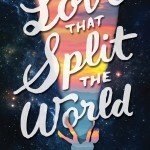 Stories that are really centered on the love story–and when the love story is about teenagers, and/or when the story starts when they meet–are rough for me. There are exceptions (usually by Rainbow Rowell). And it doesn’t mean I won’t read books that are love stories. It does, however, mean that a love story probably has to work a little harder to get me to buy into it. I did not buy into this one. I mean, I buy that Natalie and Beau feel a connection and attraction for each other. But I don’t buy that it’s anything substantial and meaningful, and I absolutely do not buy that their love for each other would drive Natalie to make the choice she makes at the end of the book. No way. I believe that the fact that they both are able to cross into parallel worlds is the source of a strong connection they share–when you’ve been carrying a secret and you think you’re the only one, it’s a huge relief to find someone with the same secret. 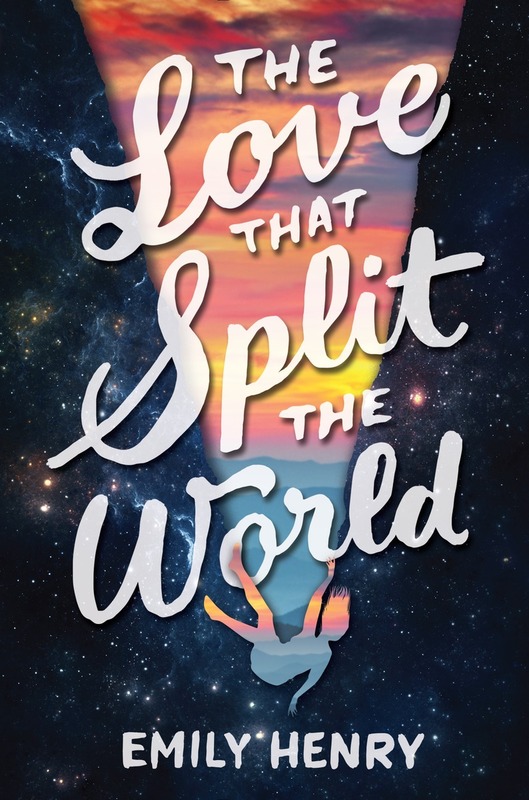 I believe that, being teenagers–and Natalie being a teenager who has recently broken up with a long-term boyfriend, as well as a teenager who is about to move halfway across the country for college–they would be hopelessly infatuated with each other. But there’s nothing in the text to cause me to believe or even understand why they would love each other that much, to some profound heights where they would want to spend the rest of their lives together. I can believe Natalie thinking that, as an eighteen year old, the summer before she moves away from her home and everyone she knows. But not on the level the book wants me to believe. Even if I were romantic enough as a person to buy the love story, the ending made me kind of angry in how un-feminist it felt. Why does Natalie have to be the one to make such a sacrifice? Why not Beau? Why does her life have to be in service to a boy she knew for a few months as a teenager? I’m not against women making sacrifices in general. I actually am drawn to stories where characters have to make heart-wrenching choices or terrible sacrifices. Those kinds of situations are usually really fascinating. But the sacrifice here feels hollow. Because I don’t buy the love story, I don’t feel like there’s much at stake; it feels like Natalie chooses to throw away so much over something so little. However, it really is a beautiful book. The characters and setting are vivid, and the author deftly weaves in folklore and science with the idea of accessible parallel worlds. The description is often just gorgeous. This is another book that deals with adoption in a nuanced way, as Breadcrumbs does, and I was happy to read a YA book with a modern-day Native American protagonist. The characters are also very complex–even Beau isn’t one dimensional–and the author isn’t afraid for them to be likeable and unlikeable. I think this book can start a lot of great discussions about folklore and creation myths, and the use of sacrifice in those old stories. What does it say about the cultures those stories come from? What are stories of sacrifice we can find in our culture, and what is the role of sacrifice in mainstream American culture? There’s a lot there. I am hesitant to recommend this book to most 6th graders. There’s nothing graphic, but there are some references that really would make me more comfortable handing it to a high schooler, and underage drinking features heavily. (The book doesn’t endorse it, but it’s there.) I would definitely feel more comfortable recommending the book to 8th graders than 6th graders, no question. I also think older middle schoolers would enjoy the book a little more. I’m honestly not sure if I’m going to keep it in my classroom, although that is largely because I’m still a new teacher and I’m still feeling that out. I think I might play it safe and use it as a prize for my 7th graders. Or give it to the 8th grade ELA teacher for her classroom library. Having said all that, I am really looking forward to what else Emily Henry writes. Sadly, there is no AR information, but I’m hoping that’s just because the book is so new. - awesome native female protagonist! - so much of this book is so feminist!